GAIN’s Facebook channel comes equipped with many user-friendly editing tools to help content creators make a flurry of dynamic, engaging social media posts, with every content detail customized to your clients’ wishes. Some of these tools may have gone unknown to you since you’ve been using GAIN, as there are many available. That’s why we thought we’d create a quick walkthrough of all the post editing tools available on GAIN Facebook channels so you can top up your social media content, engage your audiences, and impress your clients. What Type of Media Makes For Great Facebook Content? GAIN’s Facebook channel supports JPG, PNG, GIFs, MP4 and MOV files. 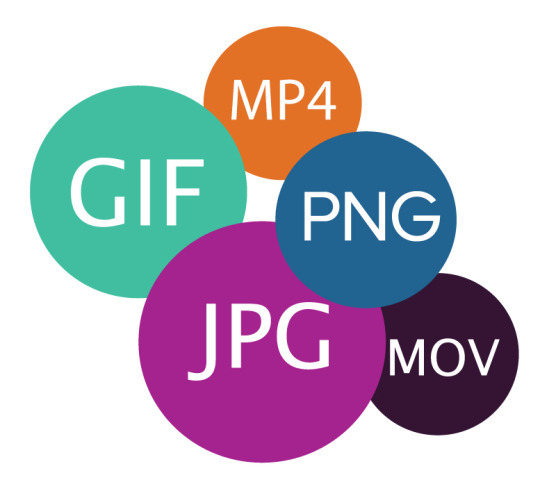 Each file format can be uploaded with a click of a button for an instant preview of how the media will appear or play once live in the post. TIP: Make sure to click the correct upload button for the corresponding format. If you happen to click “Add Image” and attach a GIF, it won’t play in the preview or once live. 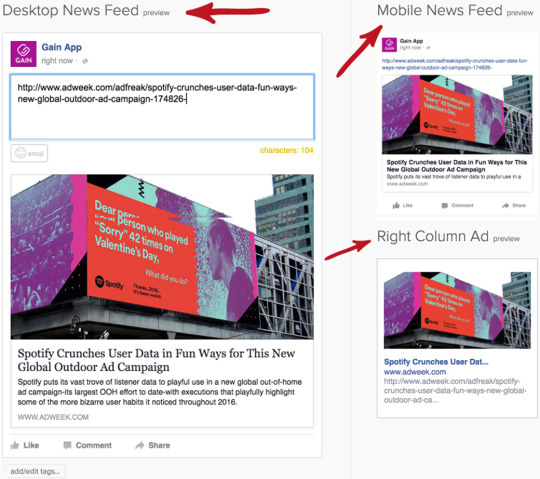 When you plug in a URL, GAIN generates post previews at once of the Facebook desktop, mobile, and ad version. Once the link preview appears, the URL can be erased without losing the linked article. You can replace the URL with your post caption for a cleaner layout. 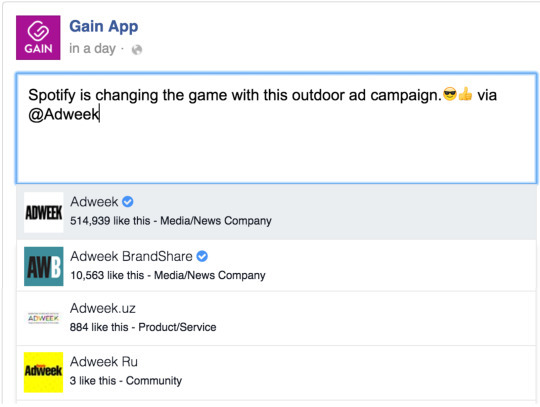 Caption your Facebook post and add emojis right within GAIN platform. 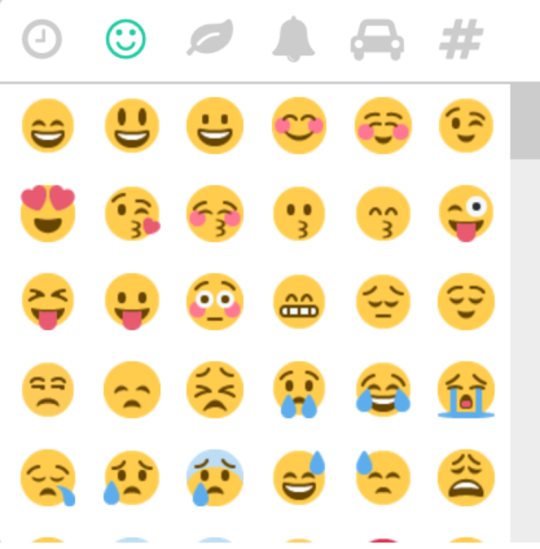 Including these emojis means that your team and your clients will all see the same emoji style, so clients can see exactly how they will appear when published. Adding an “@” mention links a fan or company Facebook page in your post, and notifies the owners of the page that they’ve been tagged in a recent update. If the linked text turns blue after the post has been saved, then it has been linked correctly. You can also scroll through the article images to choose the best cover image. Edit any of the copy provided in the article preview as you see fit. 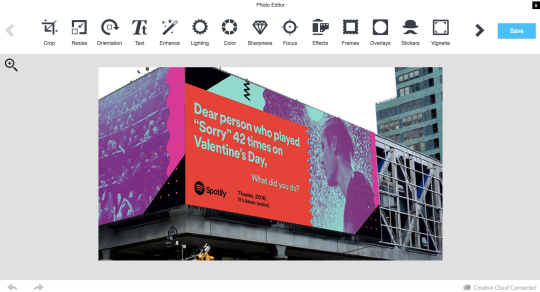 You can also head into GAIN’s photo editor to further manipulate your chosen cover image with filters, stickers, frames, and more. 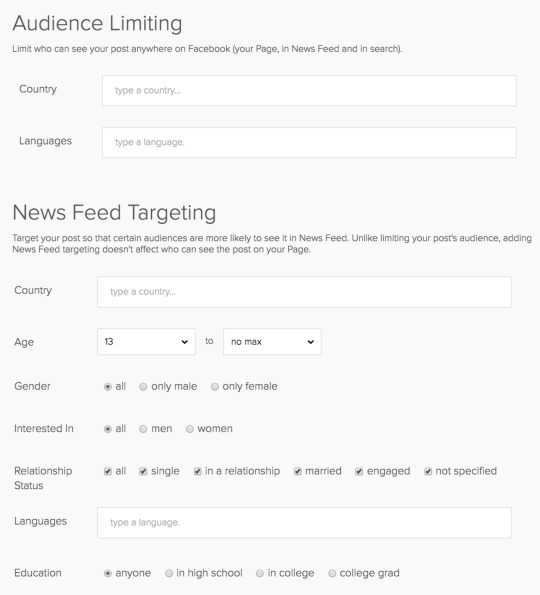 When you’re finished with the appearance of your posts and the content displayed, set any Facebook demographic targeting specifications your client requires. 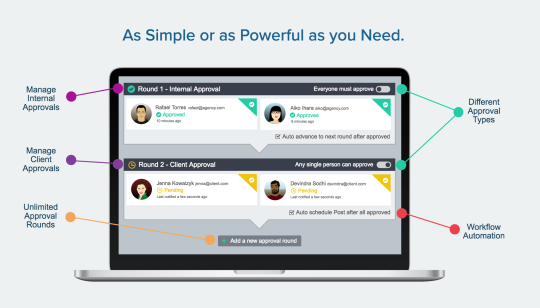 Finally, use unlimited approval rounds to get your content approved, scheduled and published on time, without ever leaving the GAIN platform. That means no more opening an excel spreadsheet or discussing feedback in email chains.